The Archbishop of Delhi, in a letter addressed to all churches in the capital had referred to a "turbulent political atmosphere" threatening democracy and secularism and urged all priests to "pray for the country" ahead of the 2019 parliamentary election. 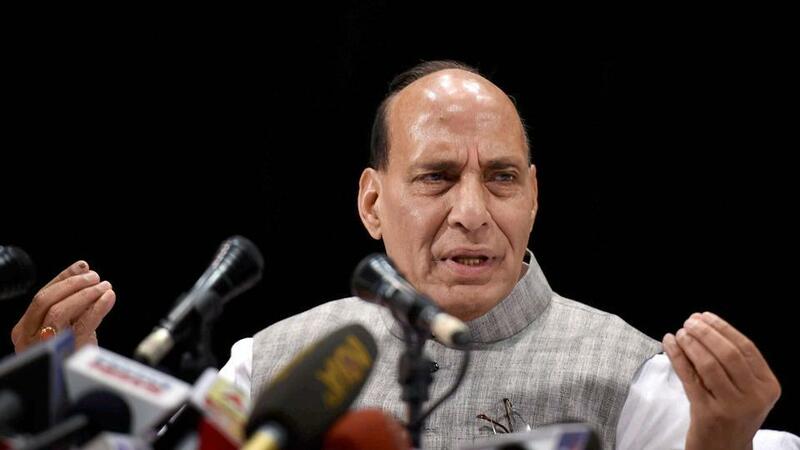 New Delhi: Home minister Rajnath Singh today said that India is a country where minorities are safe and no one is allowed to discriminate on the basis of caste and religion, reported ANI. His statement comes after the Archbishop of Delhi Archdiocese, Anil Joseph Couto, in a letter called upon the churches based in Delhi to start a year-long prayer campaign, ahead of the 2019 general elections. “I have not seen the letter, but I want to say India is one of those countries where minorities are safe and no one is allowed to discriminate on the basis of caste and religion,” he told reporters. The Archbishop, in a letter dated May 8, addressed to all churches in the capital, had referred to a “turbulent political atmosphere” that is threatening democracy and secularism. He urged all priests to “pray for the country” ahead of the 2019 parliamentary election. The letter doesn’t root for any candidate or party. “It is our hallowed practice to pray for our country and its political leaders all the time but all the more so when we approach the general elections. As we look forward towards 2019 when we will have new government let us begin a prayer campaign for our country from May 13…” the letter says. However, the Archbishop’s office has said it has no political motive in the prayer and has called the it a standard practice before elections.